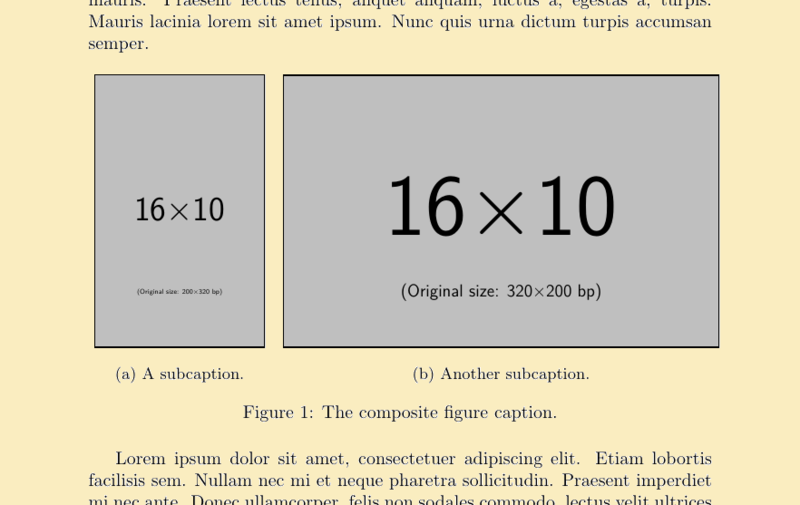 I'm using a quite satisfying solution for figures with side by side images with subcaption, a solution by which images are sized automatically to same height and to text width, see MWE below. However sometimes I would like to limit the overall width of the two figures to something less (say 80%) than text width (retaining the uniform height), but I couldn't find a way to achieve it. A very nice solution to a similar problem does not seem to work in this case. 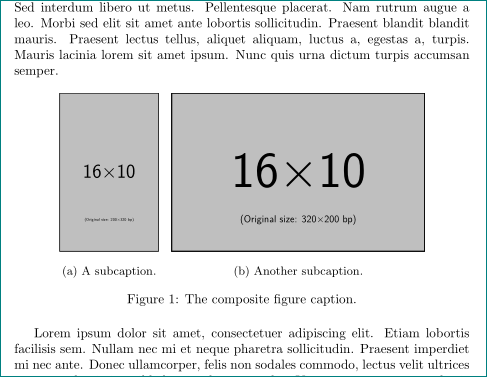 Solutions using a package other than floatrow are welcomed, as long as they automatically size images height and overall width by a given percentage of text width, as required. P.S. I just noticed a slight shift of figure to the right, maybe some floatrow package expert can help to fix this too. Not the answer you're looking for? Browse other questions tagged floatrow sidebyside or ask your own question.